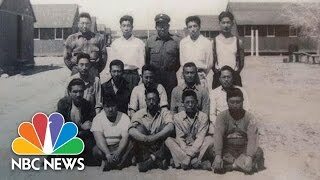 Years after World War II, anger lingered about the US government’s wartime imprisonment of Americans of Japanese Ancestry (AJAs) at internment camps. Hawaii leaders Spark Matsunaga and Daniel Inouye, both Nisei veterans, fought alongside the Japanese American Citizens League and other civil rights activists for amends to the injustices AJAs endured. After a decade of lobbying, the government finally agreed to officially apologize and award reparations. 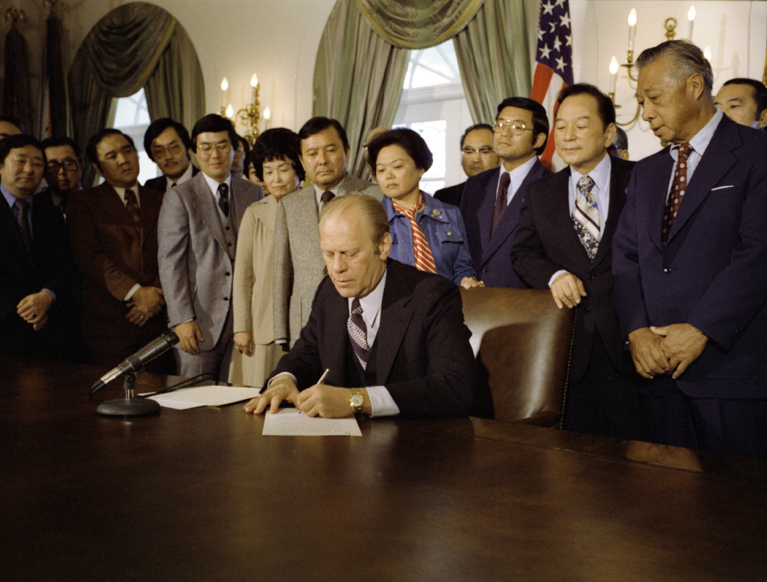 A precursor to an official apology took place on Feb. 19, 1976, when President Gerald Ford issued Proclamation 4417, which rescinded Executive Order 9066. 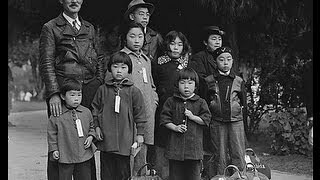 Under that 1942 executive order, President Franklin D. Roosevelt authorized the mass removal and incarceration of Japanese Americans on the West Coast. “We now know that we should have known then — not only was that evacuation wrong, but Japanese-Americans were and are loyal Americans,” Ford declared in the proclamation. In 1979, Inouye, Matsunaga and fellow Japanese American Congressmen Norman Mineta and Robert Matsui, called for a commission to study the wartime incarceration. A year later, Congress established the Congressional Commission on Wartime Relocation and Internment of Civilians to study Executive Order 9066. Hearings were held in cities across the country, with more than 750 witnesses offering testimonies. The Commission found that AJAs suffered incalculable losses, including lost education and job training, loss of family structure and prolonged racial stigma, and recommended that an official government apology be made and that survivors be awarded redress payments. 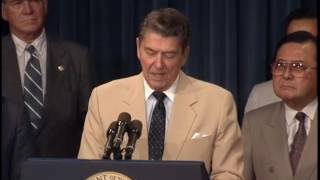 On Aug. 10, 1988, President Ronald Reagan signed the Civil Liberties Act, formally apologizing to AJAs and providing reparations of $20,000 to each surviving victim who was incarcerated during World War II. The Act also created a public education fund to inform the public and ensure that a similar event doesn’t happen in the future. 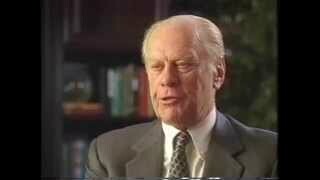 The government ultimately paid reparations to more than 82,200 Japanese Americans. Specific reference was made to the physical and intangible damages suffered, including losses in education and job training that could never be fully compensated. Along with the passage of the Civil Liberties Act, the wartime convictions of Fred Korematsu, Minoru Yasui and Gordon Hirabayashi were vacated in the 1980s. During World War II, AJAs Hirabayashi and Yasui were convicted for violating the curfew law. After appealing their cases to the Supreme Court, the Court upheld their convictions. 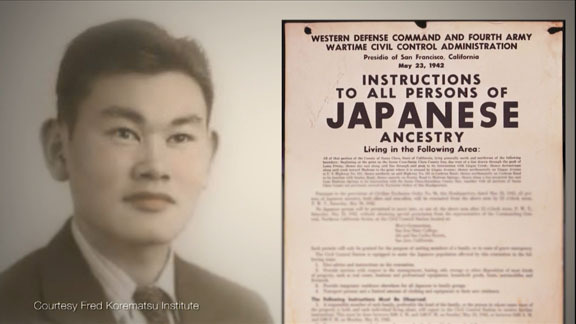 Meanwhile, Korematsu was convicted of violating military orders by failing to report to a relocation center, given five years on probation and sent to an Assembly Center in San Bruno, California. After an unsuccessful appeal, the Supreme Court ruled in 1944 that the detention was a “military necessity” not based on race. The majority opinion stated that the need to protect against espionage outweighed the rights of Americans of Japanese descent. Congressional Commission on Wartime Relocation and Internment of Civilians established; December 1982 report “Personal Justice Denied” states the mass incarceration of AJAs was based on “race prejudice, war hysteria, and a failure of political leadership” and recommends an apology and payment to surviving internees. After evidence is uncovered that government officials withheld documents stating that Japanese Americans posed no military threat, AJA Fred Korematsu’s conviction is vacated by the US 9th Circuit Court in San Francisco. 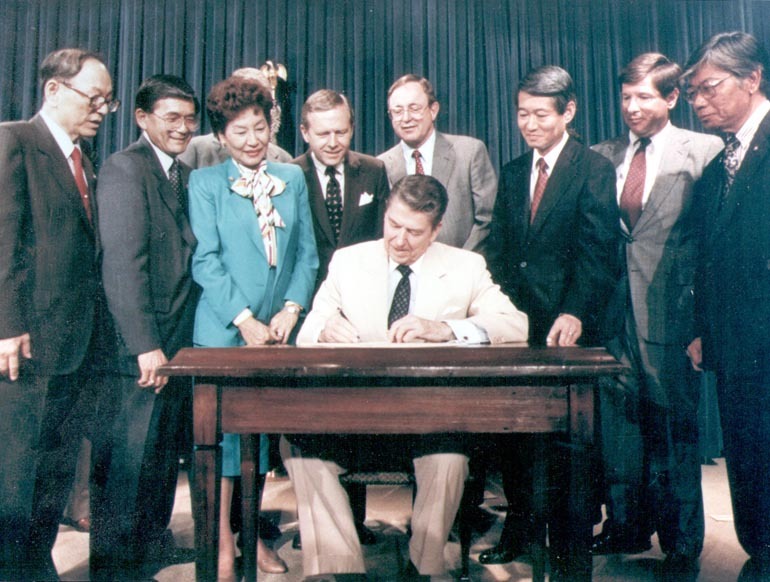 Civil Liberties Act signed by President Reagan allows for $20,000 reparations payment to internment camp survivors.